IEC61850 Europe conference successfully met the first issue of «Digital Substation» magazine in October 2016. Specialists appreciate it and would like to subscribe our magazine for 2017. BRAIN STORM and HANDS-ON columns were the most readable. Find special prices of advertising in Digital Substation Media World in our Media kit. We offer advertising at our website and in printed issues of the magazine. 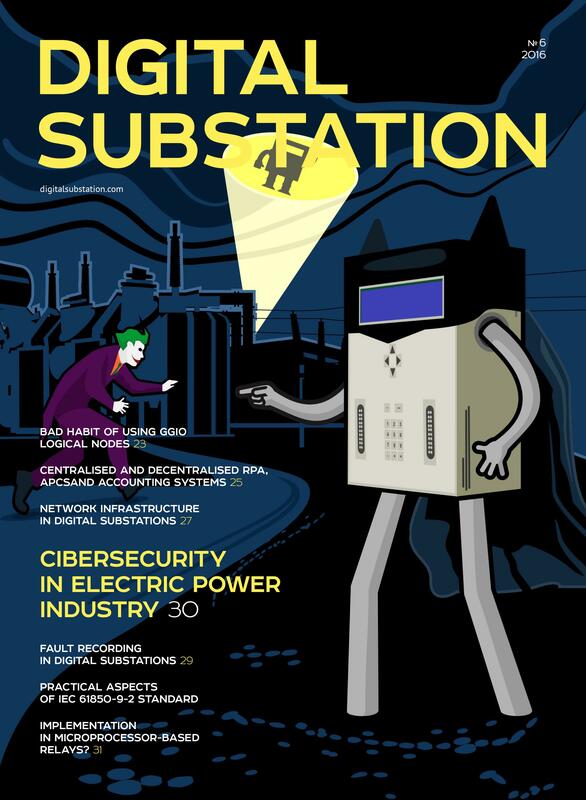 The next printed issue of the magazine «Digital substation» №2 is expected in April, 2017, but you can plan advertising now. The first issue of the printed magazine is so popular (read it) that we decided to print 3000 more copies for DistribuTECH 2017, Middle East Electricity 2017 and SGTech Europe 2017. For these new copies we offer you adding your advertising blocks or your device’s hands‑on. It will be delivered to your customers at those conferences and their colleagues (at IEC61850 Europe some people took more than one copy). Find more opportunities of Digital Substation Media World in our Media kit.